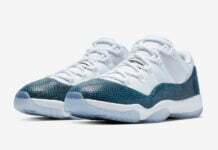 The Air Jordan 11 72-10 has already released, however you may has missed your chance on purchasing and are going the reseller route. 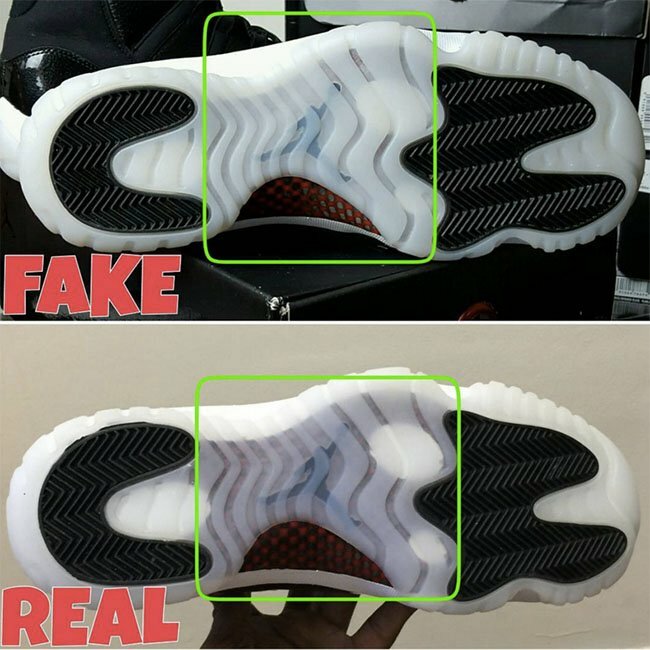 For those that want to make sure they are buying an authentic pair, we have thrown together a simple guide thanks to Fake Education. 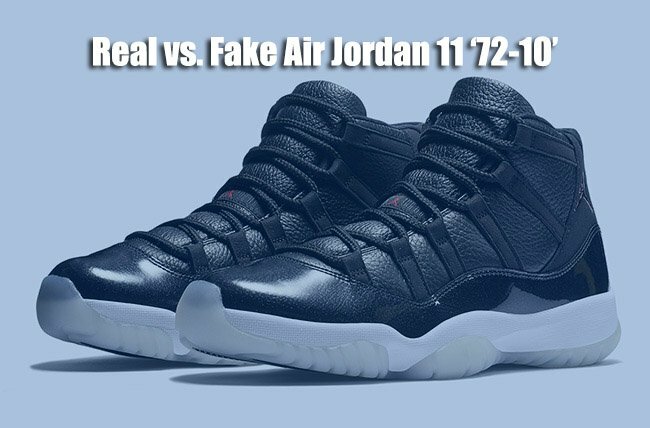 Some of the difference between real and fake or unauthorized pairs should be simple, but at times they can go unseen. 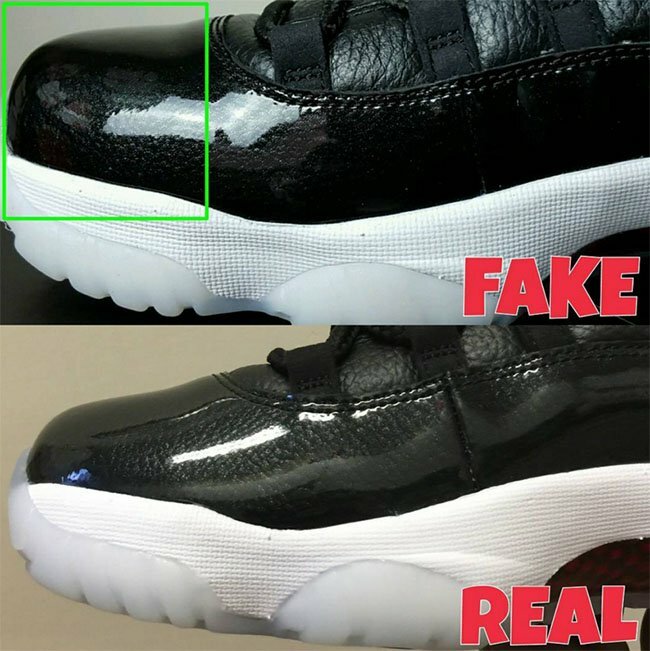 As long as you keep this guide handy when checking out images or in person, you should be ok.
Below are some side by side comparisons as well as a video and extra text on helping you determine if your pair of Jordan 11 ’72-10′ are authentic or fake. 1. 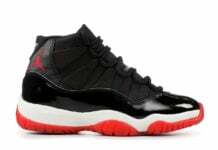 Patent Leather Cut: You will notice on the fake pair of Jordan 11 ’72-10′, the cut of the patent leather is a bit higher and closer to the Jumpman. 2. Toe Box Shape: As you can see, the fake pair is much more bulkier than the real while the authentic will be more slimmed down. 3. 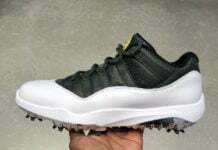 Outsole Coloring: The fake pair will feature a thicker coating, in other terms, the outsole is more ‘milky’. 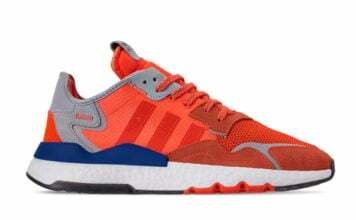 You won’t be able to see the outsole as much, nor the Jumpman. 4. 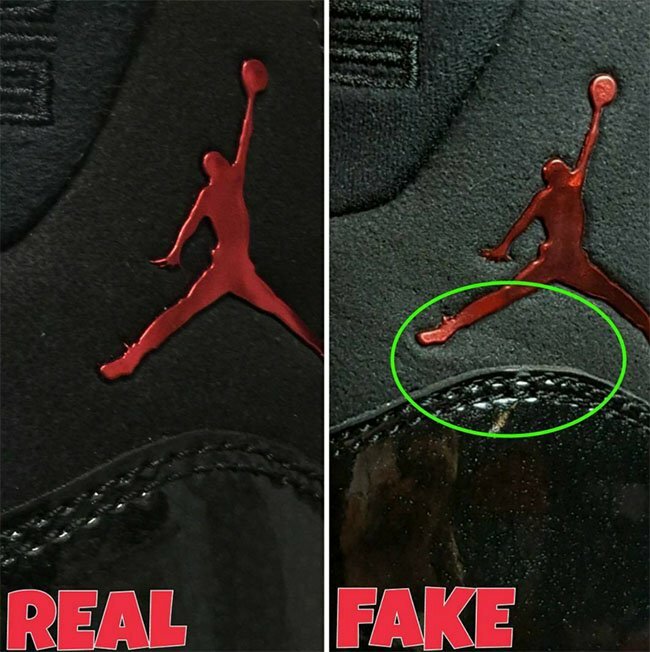 The Box: There are many different ways you can tell that a pair of shoes are fake from the box. For example the actual shape or if they are damaged, but in this scenario it shows us by the box label. 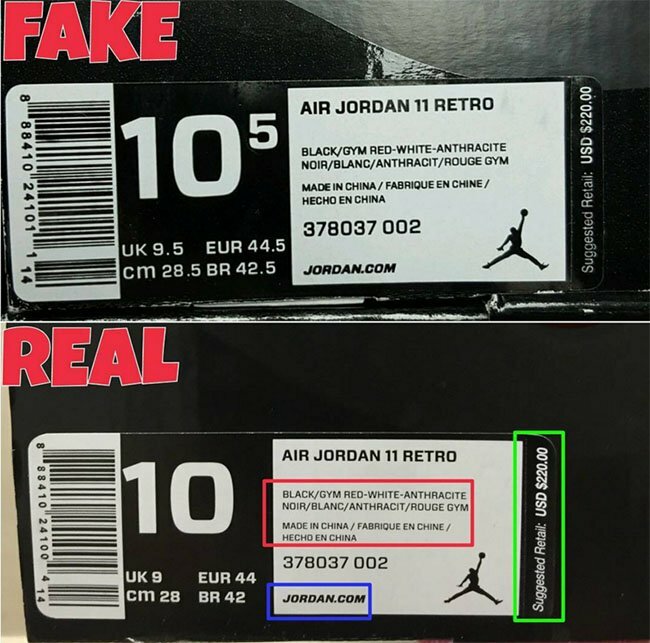 The suggested retail price font is a lot thicker and bolder compared to the authentics as well as the Jordan.com and actual color description.